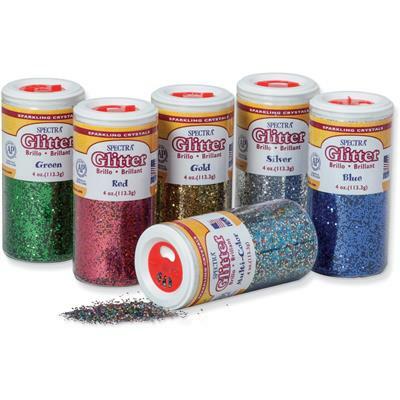 Sparkling Glitter Crystals come in assorted colors and in 4 oz. jars. Each plastic dispensing jar offers a variety of slot openings to make the glitter easy to use without a lot of mess. Colors include red, blue, green, gold, silver and multi-color. Glitter is nontoxic and conforms to ASTM D-4236.